Cattle-Watch incorporates into their products Telefonica’s Smart m2m Platform, a global platform to manage and control IoT communications. Regular location updates, status reports on cattle or herd nutritional status, reproductive events, disease, pasture quality and location with geofencing are some of the advantages for the cattle industry. 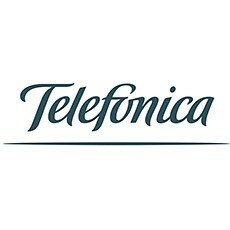 Telefonica Business Solutions, a leading provider of a wide range of integrated communication solutions for the B2B market, and Cattle-Watch, experts in cattle and livestock management, have announced today that they have signed an exclusive partnership to provide IoT connectivity solutions to the cattle industry in Latin-America and North America. Cattle-Watch will incorporate the Smart m2m Solution, the platform developed entirely by Telefonica to manage and control IoT communications, into their products. Some advantages of this key partnership for the cattle industry are status reports on cattle or herd nutritional, reproductive events, disease, pasture quality and location with geofencing. Furthermore, it will facilitate cattle location in remote areas and will provide early theft warnings directly to the rancher’s smartphone – it will also enable drone operation with a day/night camera.